With our product LUPNUMBER® we have helped well renowned industrial companies to put safety first in their on-site logistics. We are now extending our offering in line with our slogan Safer, Smarter transport- We know how with a groundbreaking release. We have released a working proof-of-concept of a Industry 4.0 Application enhancing logistical flows using numerical models and machine Learning (ML). LUP Technologies is today presenting a unique opportunity to drive digitalization within logistics to improve industrial productivity. 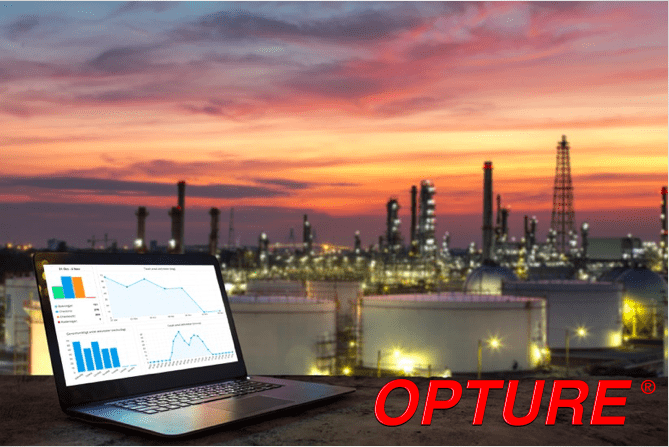 OPTURE is based on a numerical analytical model and a machine learning algorithm and is used to optimize a site’s flow of truck transports for loading and unloading. The model can calculate optimal loading hours and how to maximize productivity given a number or factors and available resources and restraints. The machine learning algorithm can forsee deviations in your operations before they happen. One key question OPTURE can help you answer is how efficient the on-site logistics on your site is. Your loading and unloading of trucks at your site. The definition of optimal is when all your loading resources are utilized and queing time for arriving trucks is zero. With OPTURE we can measure a previous time period or simulate a future time period. We can even detect potentially disturbing deviations from expected forecast. The team behind LUP Technologies has a strong background in applied mathematics and Machine Learning. We have an academic background in mathematics and computer science and logistics, combined with very strong domain knowledge within the field of truck logistics. We are now really excited to release this working proof-of-concept of the Industry 4.0 Application OPTURE. Watch the video and feel free to reach out to us to learn more!